Who Can BenefitMore information on who can benefit from Reflexology. PregnancyHow Reflexology can help during your pregnancy. Reflexology is a healing art that can be traced back thousands of years to ancient Egyptian and Chinese medicine. 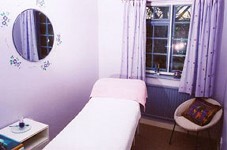 First introduced to the UK in the 1960's, today it is an increasingly popular holistic therapy. on the hands and feet, a Reflexologist can apply finger and thumb pressure techniques to stimulate all areas of the body. Treatment is more frequently carried out on the feet, as they have greater sensitivity. The aim of treatment is to create harmony within the body, enabling the natural healing process. areas. Please contact me to discuss your requiremets. treatment is then discussed, after which you can relax during the treatment. my physical & emotional well-being. any joint or back pain. I was calm and relaxed throughout pregnancy and labour. I went to Pam for Reflexology to help with my Marathon training. Fantastic! I was more calm, relaxed and injury free. I would recommend Pam to anyone. I took a course of Reflexology after suffering from repeated viral infections during the past year. After a few treatments I was pleased to find my energy level increasing and my general health is much improved. I have Mutiple Sclerosis and always feel better after my Reflexology, I have improved balance and more movement in my foot and ankle. To maximise the benefit, Reflexology is usually taken in a short course of treatments. During October 2018 - book and pay for 3 treatments and receive a 4th free of charge. Copyright © 2004 - 2019 Pam Stroud's Reflexology. All rights reserved.